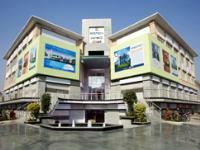 Looking for a property in Sector-57? Have a property in Sector-57? 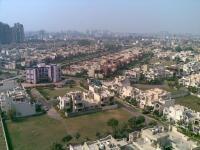 Sector 57 in Gurgaon is one of the oldest sectors. Today, this sector is thriving with local markets, eateries, malls, banks and clinics etc. The HUDA market of Sector 56 which is a popular hub for local eateries and shopping is just 1 Km away from Sector-57. In terms of connectivity, Sector 57 scores high as it is well connected to the Golf Course Extension Road and Golf Course Road. HUDA Metro Station is 15 minutes away from the sector. Autos, taxis and buses connect the sector with other parts of Gurgaon. 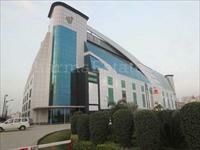 Sector-57, Gurgaon is rated 9 out of 10 based on 1 user reviews. Have a good knowledge of Sector-57? Share it and become a Locality expert. Ansal Harmony Homes is one of the popular Residential Developments in Sushant Lok Phase 3 - Gurgaon neighborhood of Delhi-NCR. It is among the well known Projects of Ansal Buildwell Limited. The landscape is beautiful with spacious Houses. M2K The White House, Air Conditioned Floors, lend an exquisite verve to life making it more effervescent, joyous & fulfilling. Delights & Splendours is high-rise condominium complex by SS Group with kids theme parks, jogging and walking tracks, fountains, modern club with in-house gym, swimming pool & Indoor Games Rooms. The Legend is a home to rich and famous with its super-luxurious fully finished 486 apartments and 16 penthouses in 12 towers of ground + 17 floors and ground + 12 floors as well as 32 villas. Freedom Park life comprises luxury apartments with provision for 100% power backup(payable extra), 24x7 security, swimming pool and sports or recreational club. We have offered possession for 356 units. Well designed, compact independent villas that enable you to enjoy luxury, privileges,amenities and conveniences. 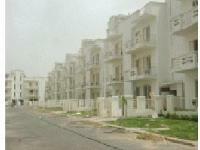 It is and opportunity to live in a posh township which is fully developed andhas the best of civic infrastructure. Bestech Central Square is all set to rise in Sector 57, Gurgaon on the main sector road to Sushant Lok II/III.The location is incredibly strategic.